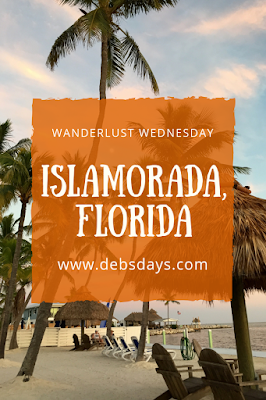 I had never heard of Islamorada until we started searching for places to stay on our way to Key West. Up until today I didn't even know how to pronounce it. (It's eye la more ah dah.) 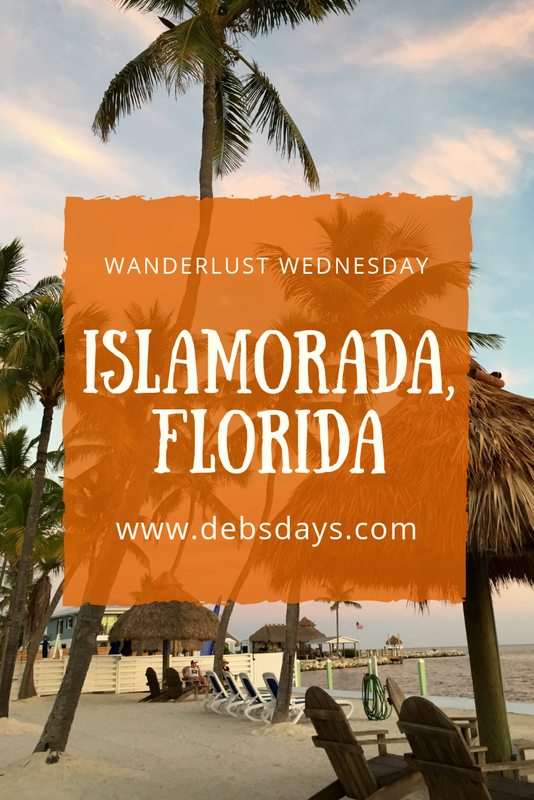 Islamorada is a town hit hard by Hurricane Irma last year. You can see some drone footage shot by the Miami Herald here. Even now some businesses are still closed, homes are being repaired, and signs are everywhere about assistance. Even real estate listings remind you a hurricane might be in your future with words like concrete, bunker, and fortitude. We're also finding so many of these towns in the Keys have something else unique about them - you don't realize there is water like, right there. Trees and bushes hide the water on both sides of the road. These last couple days I've been following our GPS down narrow streets to find beaches and marinas. We always think the same thing when we turn off. This can't be right. But two minutes later and wouldn't you know it, there's the water. It happened at the place we stayed at over the weekend. A very nondescript looking place from the road had a great water view just a few feet away. And again, at the place we're staying now. It doesn't look like anything special from the main street. Probably doesn't look too impressive from the inside of our abode, either. But I knew exactly what I was booking here. Like I've mentioned before, we sometimes like getting out of our usual hotel lodging routine. 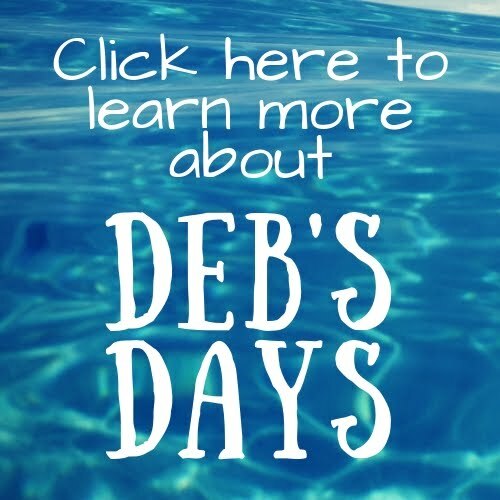 I have fond childhood memories of camping each summer with my grandparents, hubby has fond childhood memories of heading every year in the camper to his family reunion, and we both have fond memories of our summer-long cross-country tent-camping road trip with our daughter. So this place - this trailer - in Islamorada was calling my name. 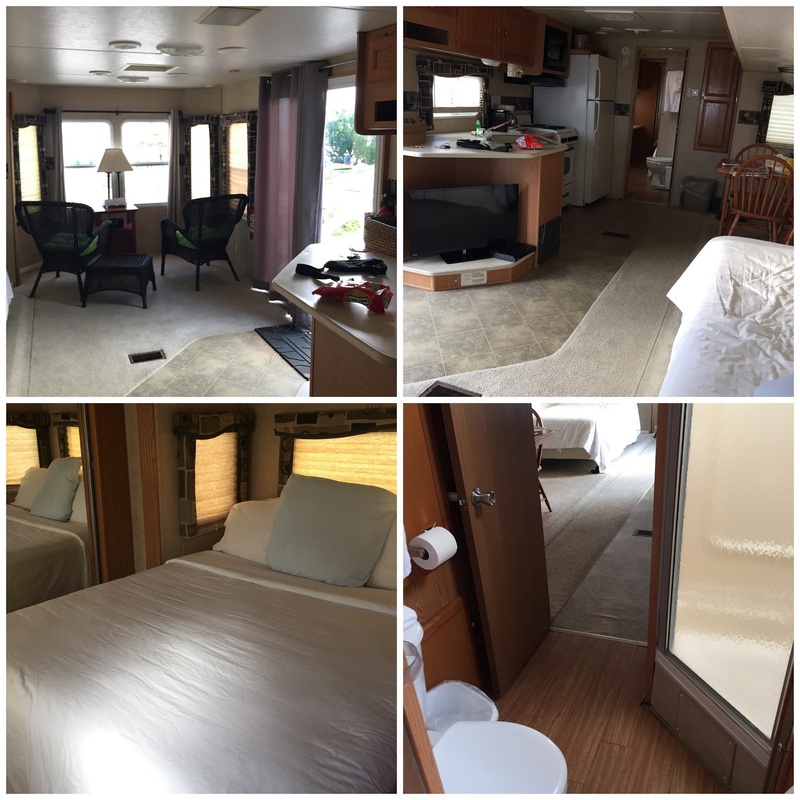 It has electricity and water and even has a regular hotel-like toilet. Who can say they are blessed enough to be able to camp on the sand in the Florida Keys? That would be us. But again today we again couldn't lollygag on the sand as we had some things to be done. First up, lunch. We wandered just a couple minutes down the road and found ourselves at the rough-looking Hog Heaven. Go inside, walk through the bar, and plop yourself down outside to find a view like this. Order a drink like the Flying Pig. Vodka, peach schnapps, Red Bull, and cranberry. My first sip of alcohol in months and my first ever sip of Red Bull. Between the view and the warm day and the drink I was feeling warm and fuzzy on the inside. Look at those thick slices of meat. Of course, homemade Key Lime pie for dessert. Very dense. Then back to CVS to pick up hubby's prescription and onto a nice, clean laundromat to run a load. Not as relaxing a day as I had hoped, but I'm not going to complain when I can sit in a trailer and type my blog and see this out the window. The sunsets here aren't too shabby, either. Even when the moon starts to make an appearance in the opposite side of the sky it is pretty darn nice. We never ever forget what a wonderful life we live. Off to Key West tomorrow.